The understanding of many physical processes at atomistic and molecular level requires a detailed knowledge of the system’s dynamics at a fundamental, quantum mechanical level. That knowledge can in turn be harnessed to design or discover new materials with potential practical applications. Magnetic materials, for example, could be at the forefront of an upcoming revolution in electronics. Future electronic devices like long-lasting nanoscale memories or noise-resistant quantum computing platforms could become possible by exploiting the dynamics of magnetic molecular systems. Such systems owe their magnetic properties to the magnetic moment, or spin, of their atoms. Since the spin is a genuinely quantum mechanical property, these systems are also often used as real test beds for the study of quantum phenomena. In a paper published in the peer-reviewed journal Nature Physics, we propose a new approach to studying such systems using the superior capabilities offered by quantum computers. 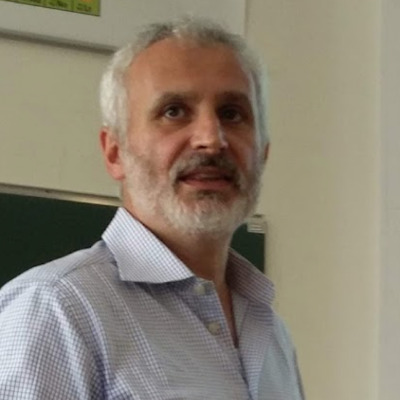 Using quantum algorithms and quantum hardware our team* of IBM researchers and collaborators from Italian universities has shown the potential to achieve quantum speedup and even quantum advantage when simulating and interpreting experiments on finite-size spin systems. Such systems could form the basis for future spintronic devices in which the spin is the carrier of information. The technique of choice to probe such finite-size spin systems is inelastic neutron scattering. The challenge with this technique is one of computational efficiency: Once the spin systems become large enough for interesting applications, the computational resources needed to simulate and interpret the inelastic neutron scattering experiments grow exponentially and ultimately become unmanageable for classical computers. Four-dimensional Inelastic Neutron Scattering (4D-INS) is one of the most powerful tools for the characterization of the quantum behavior of finite-size spin systems. 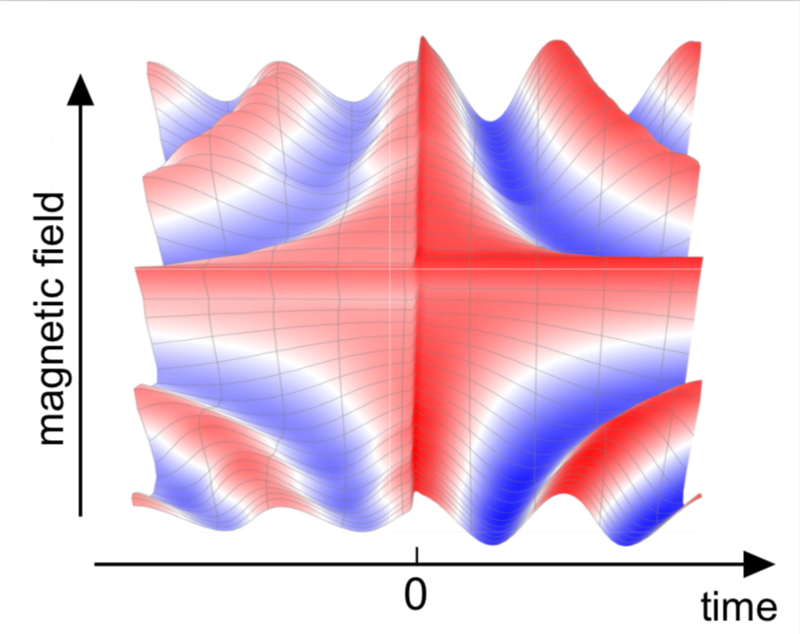 As opposed to classical systems, quantum spin clusters suffer from the exponential growth of the Hilbert space with the system size, which makes the calculation of their dynamical properties very hard on classical computers. Conversely, the same simulation could be easily done on a fault tolerant quantum computer, thanks to the linear scaling in the required number of required qubits. In this work, we developed a quantum simulation algorithm that can reconstruct the signals obtained from neutron scattering experiments which enable the study of complex magnetic molecular systems with important implications in future material design. To show the effectiveness of our algorithm, we apply it to the study of isotropic and anisotropic spin dimers and trimers, as test cases. Due to their different topologies, the four-qubit processor ibmqx4 is used to compute nearest-neighbor correlations while the five-qubit chip ibmqx5 is used for the next-to-nearest-neighbor case. Further, we employed the larger ibmq20 chip to compute both nearest-neighbor and next-to-nearest-neighbor correlation functions on the same device. Fig. 1. a, Mapping of the spin trimers on ibmxq4 (a), ibmqx5 (b) and ibmq20 (c) chips, with qubits 1–3 encoding the spin ions and an ancilla (a) for measurements (orange circles). Due to their different topology, ibmqx4 is used for nearest-neighbor correlations and ibmqx5 for next-to-nearest-neighbor. The improved connectivity and reduced gating errors on the new ibmq20 allows us to implement bidirectional CNOT gates as well as to simultaneously probe nearest-neighbor and next-to-nearest-neighbor correlations on the same device. d, Sketch of the quantum circuit used in this work to compute the correlation function and Trotter decomposition. To assess the scalability of our approach, we investigated the sources and the propagation of the different errors occurring on the quantum devices. We showed that systematic-coherent errors (SCEs) are currently the main limiting factor and that mitigating them will enable scaling to a larger number of qubits, even without improving incoherent errors. We also developed a new error mitigation procedure, which allowed us to obtain results in excellent quantitative agreement with the theoretical forecasts. Thanks to the recently announced fourth-generation 20-qubit processor with a record quantum volume of 16, we are closer to a more detailed exploration of the quantum physics world. 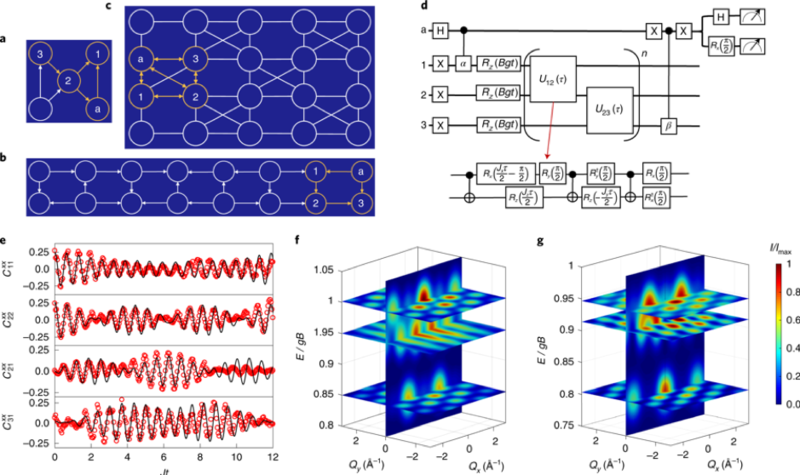 Our work showed that for applications in quantum magnetism, quantum speed-up can be achieved with 20 to 30 qubits and quantum advantage with around 50 qubits, probably before what is predicted for electronic structure calculations. In addition to applications in fundamental physics, similar quantum algorithms will offer in the future new opportunities for the solution of problems of industrial interest in fields such as pharmaceutical chemistry, finance and artificial intelligence. *This research was done by a team composed by the group of Prof. Stefano Carretta at the University of Parma with Prof. P. Santini and Dr. A. Chiesa, a group at the University of Pavia led by Prof. Dario Gerace and composed of the PhD students Francesco Tacchino and Michele Grossi (IT Architect and PhD Executive student at IBM Italy), and Dr. Ivano Tavernelli, Global leader for advanced algorithms for quantum simulations at IBM Research – Zurich. 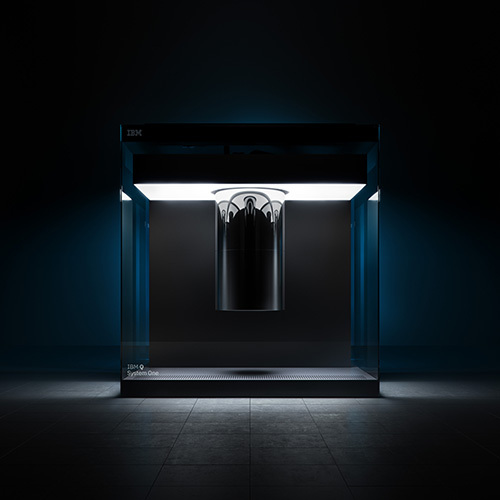 This research team is the result of a strong network between IBM and several Italian universities on the strategic topic of quantum computing, a collaboration characterized by a strong synergy and that will certainly continue in the future.